Ha Giang is a province, located in the North – East of Vietnam. The distance from Cat ba to Ha giang about 480 km, takes a bus from Cat ba to Ha Giang about 12 hours. And the distance bus from Hanoi to Ha Giang is about 320 km which takes you about 8 hours riding with amazing moutain view on it’s way. 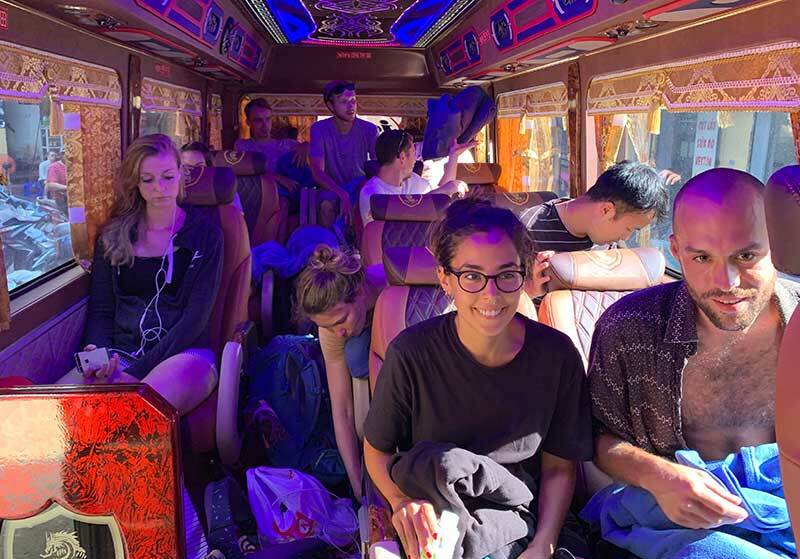 Good Morning Cat Ba Bus cooperate with Ha Giang Bus company organize the bus from Ha Giang to Cat Ba Island and Bus Cat ba to Ha Giang. Everyday depart, we offer free pick up at all of hotel in Ha Giang city and Hotel in Hanoi Old quarter area. Note : Good Morning Cat Ba Bus only organize the bus from Hanoi to Cat Ba and return. We cooperate with another company to organize Ha Giang Bus/ Sapa Bus. We chose the best company but the service can not excellence as Good Morning Cat Ba bus. Please send the email to : info@goodmorningcatba.com or chat via WhatsApp / Viber : +84 913 096 281/ +84 914 607 571 to get more information or book the ticket.